Lock in a great price for Bass Boutique Hotel – rated 8.4 by recent guests! View of street,Behavior of reception desk was so polite and polite especially Ms.Emma and Ms Monica.The location is so good and have very good and Relaxing breakfast with awesome view in Hotel Restaurant! Room itself was nice and clean, comfortable bed. Welcome fruits and wine on arrival. Breakfast is good. 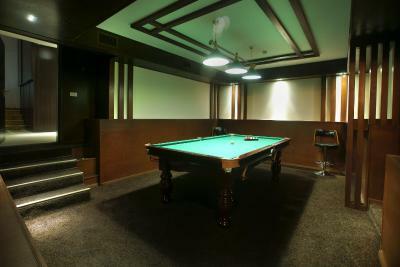 Location, breakfast, staff friendliness,welness area,cleanness. The breakfast is very good lots of varietes and the staff were offering extra dishes for those who can’t eat the offered food or seem to don’t like it. I was served omelete when the noticed i don’t eat the meats there. The reception staff is very friendly and helpful and accomodated all me needs I would defintly come back if visited Yerevan again. Very quiet location. Little supermarket and exchange office around the corner. Yes, the breakfast was exceptional. The service was superb. The restaurant was excellent as well. This hotel simply exceeded our exceptions. We strongly recommend it to other travelers. The staff are nice and friendly although most of them don’t speak english, they are trying their best to communicate and give what you need. The bathroom is nice and the room is being cleaned everyday. They have massage which is really good and relaxing, they will just set it up on your room. The food are nice and has a reasonable price. The staff was great and friendly. Room services were also great. Bass Boutique Hotel This rating is a reflection of how the property compares to the industry standard when it comes to price, facilities and services available. It's based on a self-evaluation by the property. Use this rating to help choose your stay! One of our top picks in Yerevan.Offering views of Mount Ararat, this hotel in Yerevan city center features a free sauna, an Armenian restaurant with wine cellar, and free Wi-Fi. Free parking is available on site. Bass Boutique’s simply decorated rooms include a flat-screen cable TV and air conditioning, as well as a mini-bar. All rooms have a private bathroom. 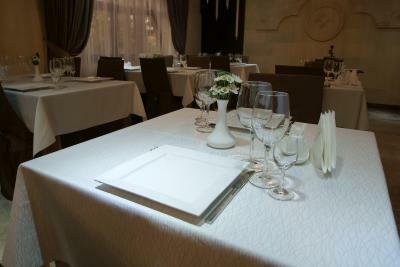 The restaurant serves dishes of national and European cuisine and a daily breakfast, and a range of cocktails, snacks and fine wines can be enjoyed in the cozy bar with wine cellar. Food and drinks are also served on the terrace. 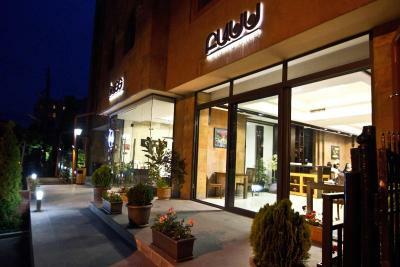 The hotel is a 10-minute walk from the President Palace and the Yerevan Opera House. Marshal Bagramyan Metro Station is a 2-minute walk away. When would you like to stay at Bass Boutique Hotel? Air-conditioned room with modern décor features a flat-screen TV. Bathrobes, slippers and free toiletries are also provided. Features a separate living room with sofa bed and a balcony. The room rate is for 2 guests. Maximum occupancy is 4 guests (see Hotel Policies). Living room on the bottom floor, bedroom on the top floot. Includes a sofa bed. The room rate is for 3 guests. Maximum occupancy is 4 guests (see Hotel Policies). Spacious suite featuring a separate living room with sofa bed and a balcony. The room rate shown is based on 2 guests. Maximum occupancy is 4 guests (see Hotel Policies). This room offers extra space. This twin room features a mini-bar and air conditioning. The room has no windows. This triple room features a mini-bar and air conditioning. Please note that the windows do not open. This room has a non-opening window on the ceiling. Bass Boutique Hotel will be happy to host you in Yerevan, the capital of Armenia - one of the oldest cities in the world and emerging tourism destinations. Our staff will welcome you with typical Armenian hospitality, surround you with warm and friendly atmosphere, professional and caring attitude. 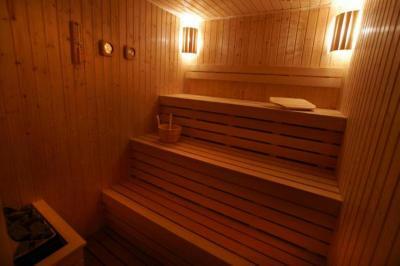 The hotel guarantees high quality services and comfort. We will make your stay unique with us. House Rules Bass Boutique Hotel takes special requests – add in the next step! All children under 12 years are charged AMD 4000 per night for extra beds. Any additional older children or adults are charged AMD 8000 per night for extra beds. Bass Boutique Hotel accepts these cards and reserves the right to temporarily hold an amount prior to arrival. Please inform Bass Boutique Hotel of your expected arrival time in advance. You can use the Special Requests box when booking, or contact the property directly using the contact details in your confirmation. Wifi with poor quality in my room( it was a junior suit) even i told to receptionist to fix this problem but i did not get any positive result. Not enough space to play billiards( you have to reserve before an hour plus they told me this when i asked for and it was too late). The Lobby of Hotel is too small,They should put kettle and Instant coffee and drinking water in the room.there is no hose for bathtubs or toilet in the rooms.The shower place surrounded by glass wall that makes showering place too small and congested! We did not like some amenities from the bedroom. The bed makes noise, no water kettle, there is no bidet in the toilet, no air condition, and for the first time in my travel life i encounter being charged for bedroom water bottles which always comes as a complimentary in most hotels. Only instant coffee at breakfast. Bathroom was different than in pictures. The main facilities work only till 22:00, which was quite disappointing, given that we planned spend some time at spa during our stay (and it was not mentioned either on their webpage nor in booking). The breakfast was not that good, especially coffee! The place was very clean and comfortable. There was nothing I did not like about my stay here. I stayed here with my partner. The room was lovely, it was a smoking room but did not smell of cigarettes which was great. I chose to smoke on the balcony to avoid making the room smell. The whole place was very clean. The facilities were great, they offer quite a few extras (e.g. 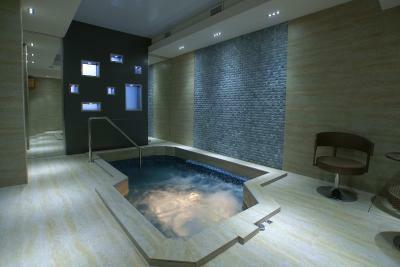 sauna, spa, billiards). The staff were so lovely and helpful. They helped us book cheap travel options. Also, our flight home was delayed by many hours so we stayed in the restaurant and had a meal after checkout time - they were really nice about that. The hotel is a really great one for the money. Walking distance to metro. The hotel also made our group breakfast at 06oclock which we really appreciated and hence we can all recommend the stay here! Location was lil bit far from the center, u will feel much more during traffic but still enjoyed. Breakfast are good but food from the restaurant aren’t. But overall I’m still pleased and no regrets. Staff, ambiance and service was great. We enjoyed our stay. Without doubt one of the favorite hotels I stayed during my time in Armenia! Upon arrival we were warmly welcomed by the staff and general manager (much appreciated). This is without a doubt the best service we have received in any hotel in Yerevan. The attention to detail and thoughtfulness of the staff and management is indeed inspiring. Well done and thank you!! Everything was perfection! 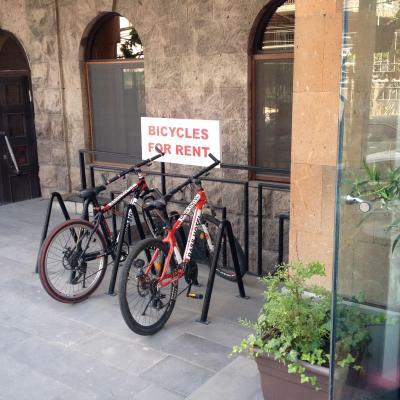 We will be staying here again if we are lucky enough to come back to Armenia. Every member of your staff was above excellent! The AC was not working and the indoor temperature was around 30. I booked a 4 star hotel specifically for comfort and because the specification of the room included AC. I was deceived. The hotel is good just make sure you call and ask ahead of time if they have what they claim they do.